There are precedents for Canada to follow in California, Colorado and elsewhere. But observers noted that these U.S. states offering legal recreational marijuana could put a damper on Canada’s own pot travel aspirations: Why go all the way to Canada when you can smoke legally a couple of states away? The landscape changed on Wednesday with legalization. 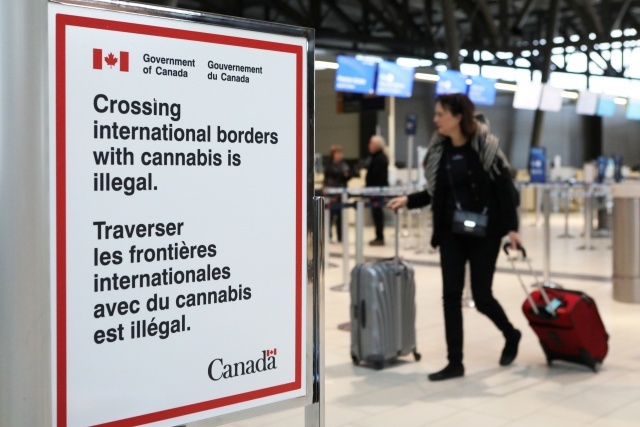 It will change again in six months when Ontario, Canada’s most populous province, allows for private storefronts, and again months after that if edible pot products become legal, he said. Tapiero said he wishes government tourism agencies were more proactive in telling potential tourists what is and isn’t legal. Denelle Balfour, a spokeswoman for Ontario’s Ministry of Tourism, Culture and Sport, said a general public awareness campaign directs people to an information site. Bus tour operator Greyhound’s sign tells passengers where to pack the drug, where they can smoke it and, importantly, what to do with it if they’re crossing the border: Leave it behind.